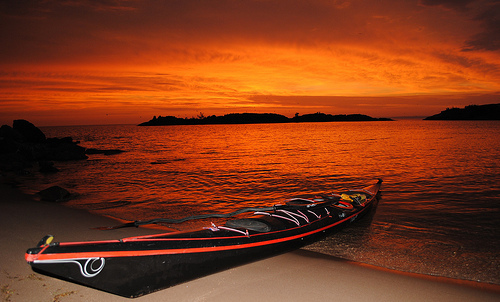 Down Wind Sports is located in a paddler’s paradise. With places like Isle Royale National Park and the Pictured Rocks National Lakeshore nearby there are many world class paddling opportunities to be had. We spend a lot of time in our kayaks and whether you’re looking for a short day-paddle, an overnight, or something more adventurous we are here to help. Down Wind Sports also organizes 2 sea kayaking symposiums each summer, Ladies of the Lake and The Great Lakes Sea Kayak Symposium, to help introduce people to the sport and help existing paddlers step up their game. Stop by our shop to check out the latest paddling equipment and kayaks or for more information on paddling in the area. Pictured Rocks National Lakeshore is an incredibly diverse landscape that covers 73,236 acres of pristine land and 42 miles of Lake Superior shoreline. Pictured Rocks features towering cliffs, beautiful white sand beaches, lofty sand dunes, inland lakes, streams and waterfalls. Only from a kayak, you can slip up beside the towering cliffs, explore the caves, pull under water seeps, take a shower under a waterfall or explore the intricacies of shoreline bedrock. Paddlers often begin their trips in the Munising area, which provides quicker access to cliff sections of the shoreline. Popular kayak access points include Sand Point, Miners Beach, the Munising Municipal Boat Ramp, and Grand Island Landing. Access points at the east end of the park include Twelvemile Beach Campground, Hurricane River Campground, and the Grand Marais Marina. We are proud to say that this park is our back yard. If you need help planning your trip to Pictured Rocks- give us a call and we’ll make sure you get to see the “secrets” of the lakeshore! Grand Island is a wonderful kayaking alternative to Pictured Rocks, it offers sandy beaches, protected bays, historic lighthouses, and breathtaking sandstone palisades, caves and arches… without the crowds of Pictured Rocks. Most kayakers belive the island rivals nearby Pictured Rocks National Lakeshore in the beauty and grandeur of its rugged shoreline, and circumnavigating the island is one of our favorite weekend trips. Running 120 miles from Big Bay to Grand Marais Michigan on Lake Superior’s south shore, the Hiawatha Water Trail follows a shoreline paddled by Native Americans, Voyageurs and early European explorers. Experience some of the most scenic paddling available in the Midwest at places such as Pictured Rocks National Lakeshore, Grand Island National Recreation Area, Hiawatha National Forest and other public lands. 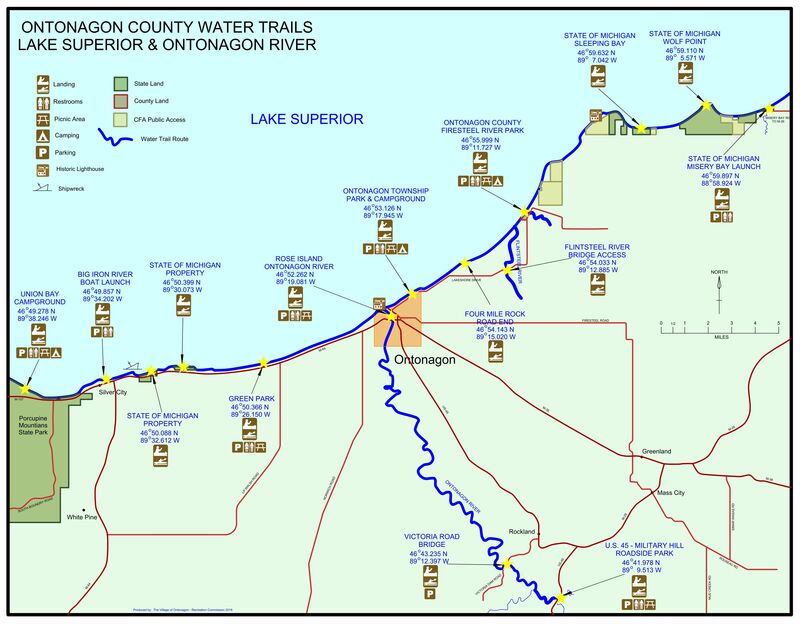 Currently, the water trail is fully developed along the eastern third from Munising to Grand Marias, a section that includes the Grand Island National Recreation Area and Pictured Rocks National Lakeshore. Campsites, signs and public land are bountiful here. 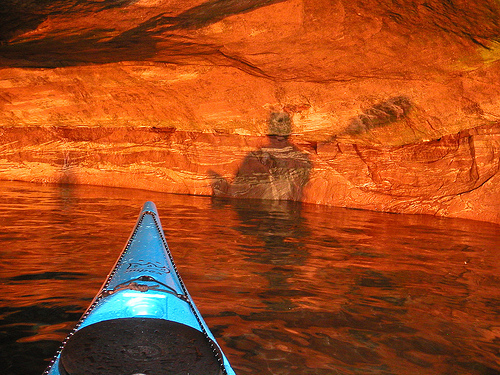 Stop in the shop to purchase a map and for more information on our favorite paddling destinations. While long known for and associated with its superb opportunities for backpacking, Michigan’s only National Park also is recognized to be a world-class destination for paddling. The entire island is about 45 miles long by 11 miles at its widest point and runs from the southwest to the northeast in Lake Superior. 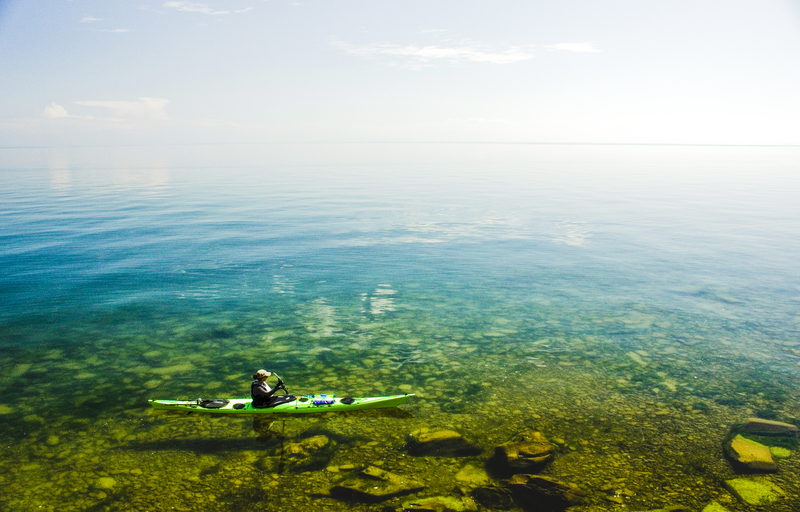 Paddling on Lake Superior is typically best suited for sea kayaks. Both the southeast and northeast sides of Isle Royale are perfect for paddling with numerous barrier islands and finger-bays to explore. Many campsites in this region are accessible only by water and summertime crowds are lower than at campsites shared with hikers. Kayakers can choose protected, scenic areas, such as Rock Harbor and the Five Fingers, or take on the challenge of the more rugged and exposed shoreline. Canoeists can take advantage of a chain of inland lakes that ultimately connect with Lake Superior on the south and the north sides of Isle Royale. For more information or to pick up a few last minute items swing by our shop in Houghton located just blocks away from the Isle Royale Ranger dock. 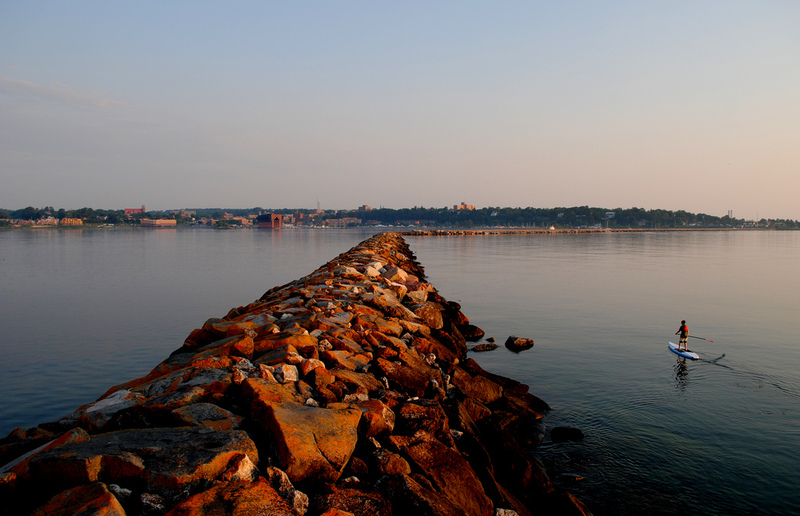 We believe that the Keweenaw Peninsula is one of the hidden gems on Lake Superior. There are sandy beaches, conglomerate cliffs, caves, arches, water falls and sea stacks all easily accessed from our location here in Houghton. These features combined with the unique shape of the Keweenaw make getting out on the water possible no matter where the wind is out of. Check out the Keweenaw Water Trail Website for more information, stop by our shop to pick up a map, or join us on Wednesday nights during our paddle socials.